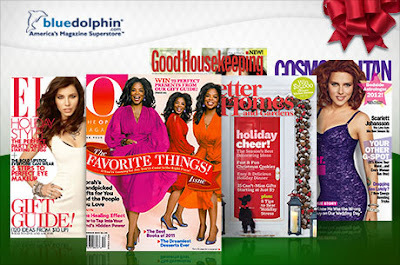 $8 for 1-year Magazine Subscriptions! 25 to Choose from: Cosmo, Good Housekeeping, Bon Appetit + Many More! Great Last Minute Gift Idea! Head over to Eversave and take your pick of 25 one-year magazine subscriptions for as low as $8.00! The deal is on sale for $10, but if you use a new Eversave account, you'll get $2 credit, making it just $8.00. To make a great last minute gift, you could buy one issue of whatever magazine you choose to buy and wrap it up or put it in a stocking with a note saying that a year's subscription is on the way! You'll be able to buy your subscription immediately, so no waiting around to redeem a voucher!